The majority of iPhone and iPad users depend on WeChat for communication. Just like all other iPhone applications, WeChat will also require updating every once in a while. A common issue that most iPhone users will notice is that sometimes WeChat Update will get stuck. This is an annoying situation since you need the latest version of WeChat on your iPhone for effective communication. But can this iPhone WeChat update stuck problem be fixed? Fortunately, the answer is yes. In this article, we will show you how to eliminate this problem. Step 1: Press both the side button and either volume up or down button. Hold the buttons until a slider shows. Step 2: Drag this slider. 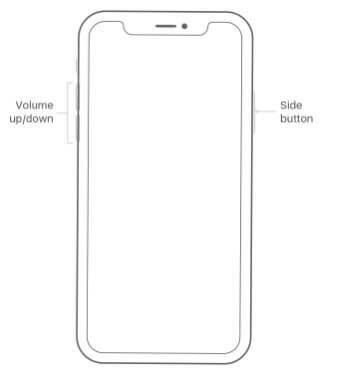 This turns off the iPhone X. Step 3: Press and hold the side button again until an Apple logo appears. 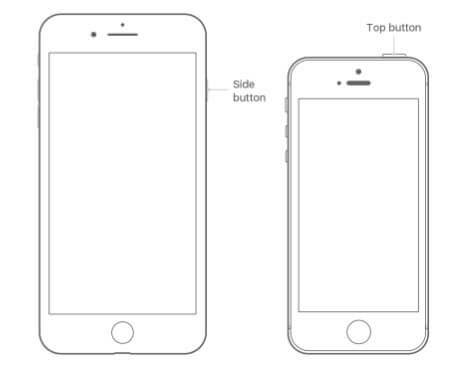 Step 1: Press and hold the Side (or Top) button until you see a slider. Step 2: Drag this slider. Your device should turn off. Step 3: Press and hold the Side (or Top) button again until an Apple logo shows. Step 2: Click Storage & iCloud Usage and then tap Manage Storage. Step 3: Confirm that you want to delete the apps you do not use or need. Then remove them from your device by tapping Delete App. Try updating your WeChat again. WeChat stores data in its temporary storage which allows the data to be accessed faster. This makes the application quick in processing requests. However, the cache may be responsible for the WeChat crash or stuck. Follow the steps below to clear the WeChat cache. Step 1: Tap [Me], then select Settings, tap on General, tap Storage, finally click Clear WeChat. Step 2: Choose the chat logs and the groups you wish to clear. 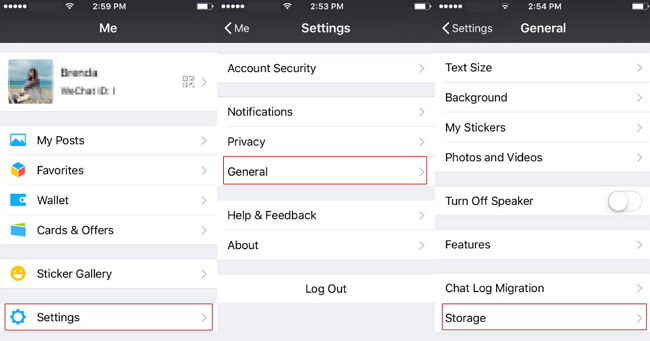 Note: “Storage” only cleans up the cache for your WeChat chat sessions and will not remove your chat history. From version 6.3.24 of WeChat, this cache for the chat sessions will be automatically cleared up regularly. Step 1: Open Settings and Scroll down until you locate Airplane Mode. Step 2: Toggle off the Airplane Mode switch. Sometimes, a WeChat update stuck or crash is as a result of you have an older version of the application on your iOS device. This can be fixed by updating your WeChat. To update your WeChat, you need to download the latest version at http://www.wechat.com/en/. Step 1: Open Settings and then tap Wi-Fi. Turn it on if it is off. 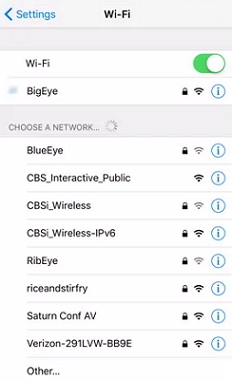 Step 2: Tap the name of the Wi-Fi you wish to join. Enter a password if prompted. 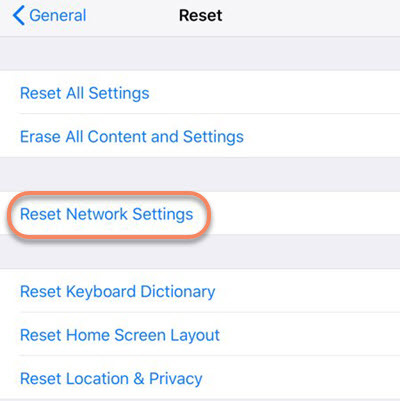 Step 2: Tap Reset and then click Reset Network Settings. Step 3: Enter your passcode if prompted for one. Tap Reset Network settings then. Backing up your WeChat data is essential before you initialize the fixing process. Although the fixing process is supposed to be smooth, sometimes things can go wrong and you may end up losing the WeChat data. If you have created a backup for the data, all you need to do is to restore it. 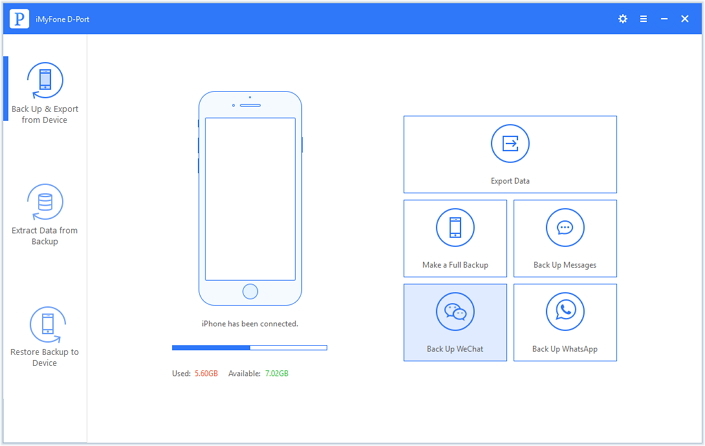 The Cloud backup feature is not supported from WeChat 6.2.5. However, WeChat will keep your chat history permanently within the application on your iPhone as long as you do not remove the app and the device has enough storage space. Step 1: Open WeChat for Windows. Click More in the lower-left corner. 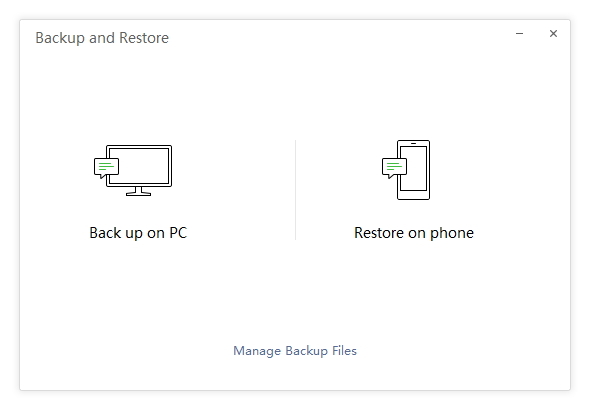 Step 2: Select Backup and Restore and then tap Back up on PC. Step 3: Select the chat history to back up on your mobile device. Confirm for the backup process to begin. Keep the devices connected to the same internet connection for the back up to finish. 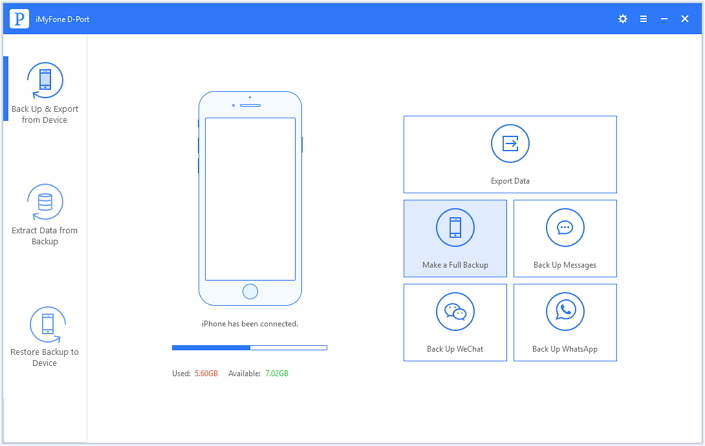 A much easier and better way of backing up your WeChat data is by using iMyFone D-Port. This tool is available in both Windows and Mac versions. iMyFone D-Port will allow you to export 18+ data types from your device selectively. It will allow you to back up your WhatsApp/WeChat/SMS or the whole device. 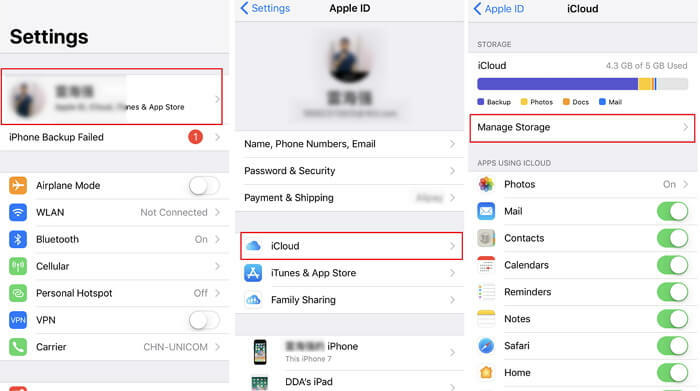 You can easily access iCloud and iTunes data without having an iOS device at hand. You can back up your Messages/WeChat data/WhatsApp data only or the whole device. You don’t need an iOS device to access the iCloud/iTunes backup data. It makes exporting of 18+ data types possible from all iOS devices. It allows you to view the content of your iTunes or iCloud backup. You need to upgrade to iMyFone D-Port Pro to selectively restore your device from iMyFone/iCloud/iTunes backup. Step 1: Launch it and connect your iPhone to computer. Tap Back Up & Export from Device and then click Back Up WeChat. Step 2: Tap Back Up and wait while iMyFone D-Port backs up your WeChat. Keep the device connected to your computer until the backup finishes. iMyFone D-Port will also allow you to create a full backup for your iOS device. This data can be restored in the future. For you to restore the backup created using iMyFone D-Port, you can update to iMyFone D-Port Pro. If you are experiencing the iPhone WeChat update stuck problem, the steps we have outlined in this article should help you fix this issue. 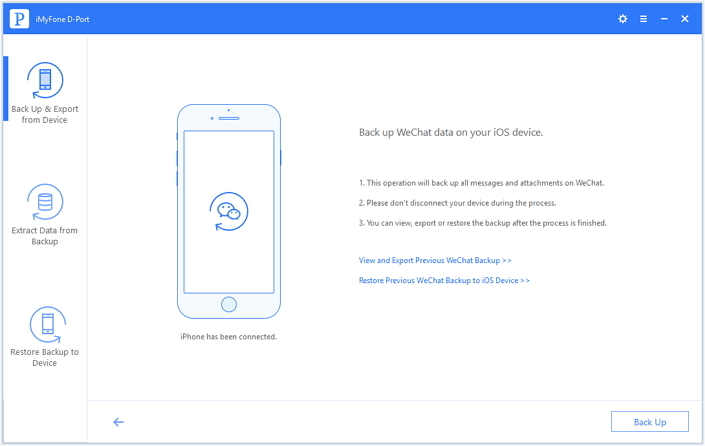 However, it is extremely important to back up your WeChat data before using any of the solutions listed here. You will have the ability to restore your data in case you lose it during the fixing process. Please feel free to leave your comments below.